While a lot of people break up old books, I've kept this antique book of wildlife prints in tact. I may break it apart one day so that I can frame some of these beautiful prints, but for now I like to flip through for inspiration. The pages of snake drawings are amazing. I will admit that this trend spotting series is now my favorite series on the blog. This trend was honestly a bit of a surprise to me, but it's been a favorite theme of mine in jewelry for a long time and I'm excited to see it pop up more in design. If you haven't guessed yet, the Hot Sauce topic for this post is snakes? Snakes have long been a symbol of love and eternity in jewelry. 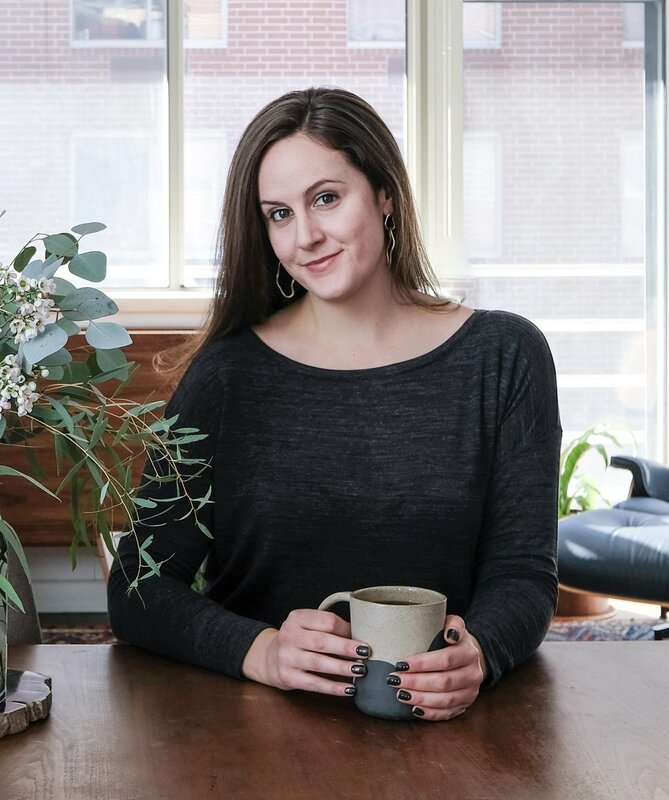 The snake motif is my all-time favorite in vintage jewelry and a New York dealer that I love, Erica Weiner, has many wonderful pieces of snake jewelry as you can below. 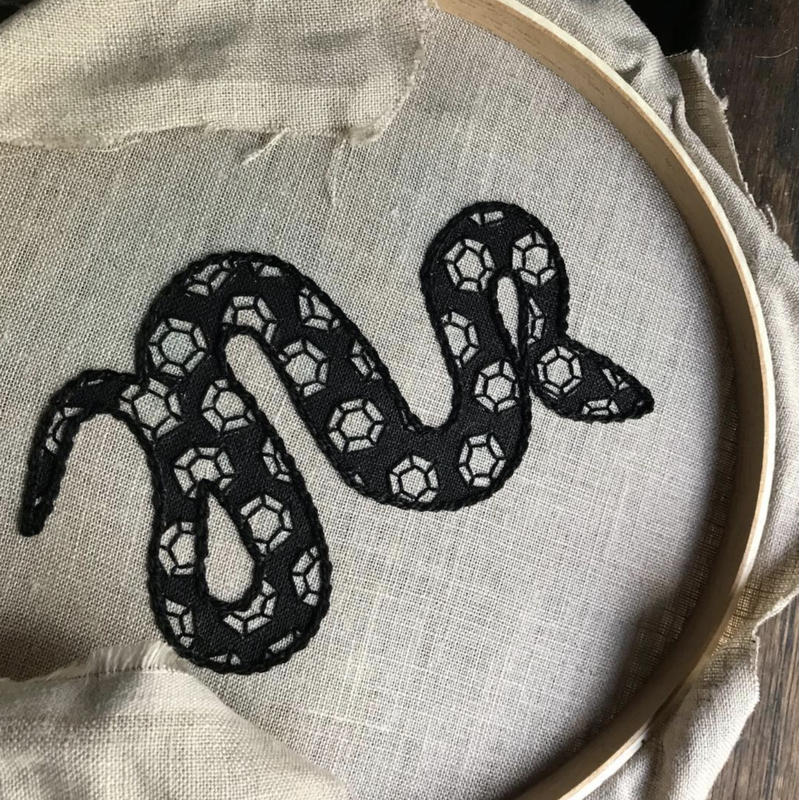 From paintings, to ceramics, to prints and embroidery...snakes are popping up all over Instagram. 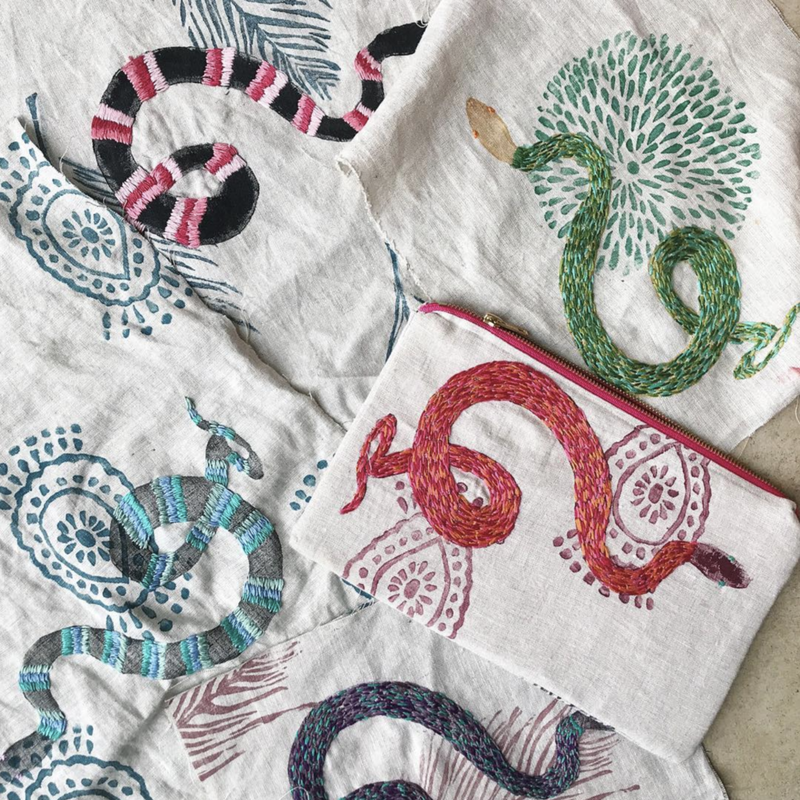 My mood boards were filled with snake inspiration and I love that this trend is catching on. Similar to my love of plant patterns, I think that the colors and patterns on snakes are stunningly beautiful. Natural patterns are always a favorite source of design inspiration for me. Below are some recent favorite inspiration photos that I sourced from Instagram. Source. Paulina is an amazingly talented Creative Director and I adore her recent watercolor works of snakes. Similar to my love of plant patterns, I think that the colors and patterns on snakes are stunningly beautiful. Natural patterns are always a favorite source of design inspiration for me. 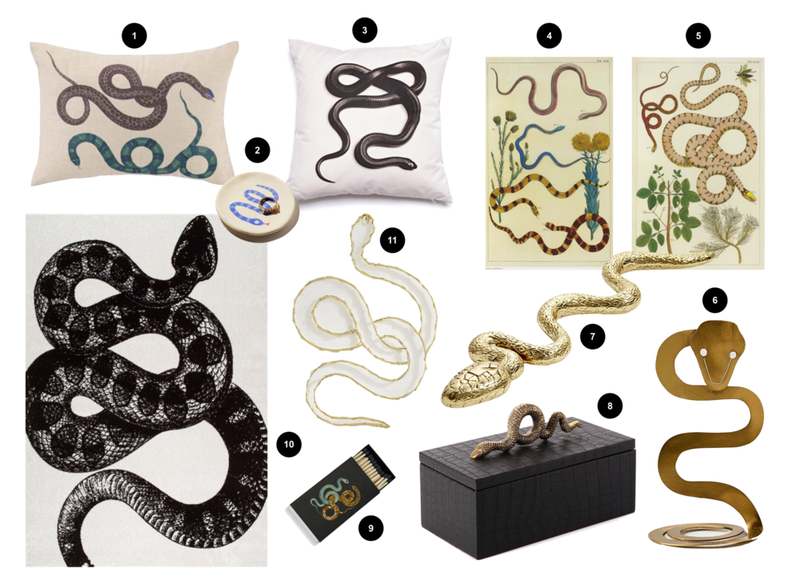 I rounded up my picks for snake-themed decor below, so that you can bring this trend into your home. Let me know what you think of the round-up in the comments below and I hope that you loving this trend as much as I do.